For high school students working toward graduation, memorizing the history of World War I or learning how to find the square root of a hypotenuse can be daunting. For those who are incarcerated, the challenge of completing the required coursework is almost overwhelming. 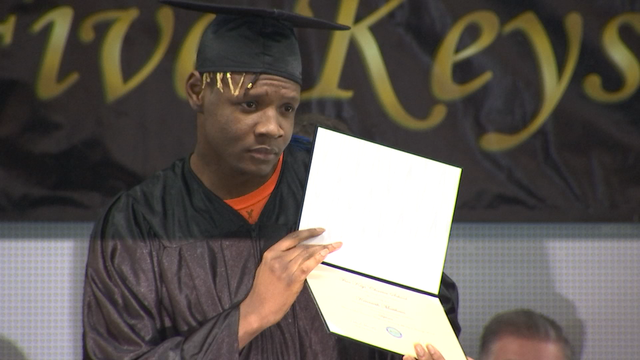 But on Thursday, 18 young people who are locked up in San Francisco and San Bruno jails beat the odds and received their high school diplomas by completing coursework through a charter school founded by the San Francisco Sheriff’s Department 15 years ago.